We’ve built in-roads to markets for Haiti’s small producer farmers for years. 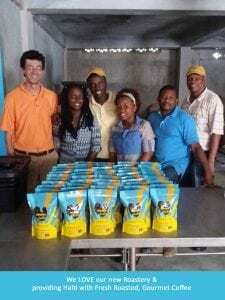 Recently, we’ve upped the ante by creating a new coffee roasting operation in Haiti. Looking for fun things to do in Haiti? Schedule a tour of Singing Rooster’s roasting facility!